I found an interesting article today. 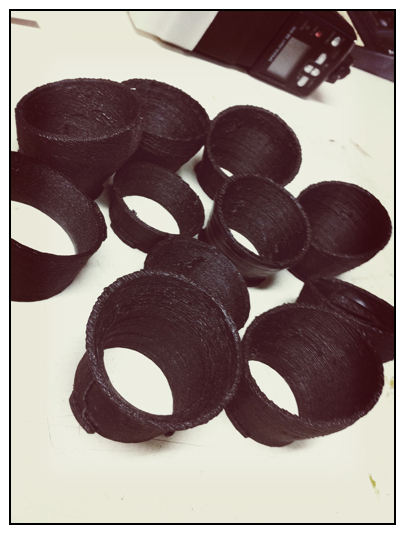 Photographer Joe Murphy has manufactured his own tilt-shift lens adapter using a 3D printer. I paid over $2,000 for my Canon 24mm tilt-shift lens. I doubt I would have done that if I were able to do what Joe Murphy did. Add to that, the designs are available for anyone to download and use for free. This brings up issues I was discussing with a friend a few weeks back. 3D printing is very expensive now. When home printers first came into being, they were expensive too. It didn’t take long before the prices dropped to an affordable level. This will happen with 3D printers as well. What does this mean? Well, there’s good news and bad news. The good news is that the average person will be able to manufacture equipment at home for a fraction of the cost of buying it from a large company. I can see this happening with all sorts of things: table ware such as plates and utensils, car parts, belts, and even camera equipment. Imagine you have the misfortune of breaking a piece of your expensive camera lens. No worries, just print a replacement part. Need to add a bottle holder for your gear bag? Whip one out in a flash and add it on. The possibilities are endless. What’s the bad news? Camera companies may lose sales because anyone will be able to copy their designs and print them out. Manufacturing jobs may shrink due to lost sales. Granted, the size of printing is limited to the size of the 3D printer, and the material may not be a good as that used by say, Canon, but technology will catch up in that regard too. The future looks quite intriguing. Posted in Camera Lenses, Camera Tips, Cameras, Digital Photography, Photography, Photography Equipment, photography products and tagged 3D printing, Manufacturing, Printers. Bookmark the permalink. This is a photograph I took for a client. It was a straightforward shot taken with my Canon 5D Mark II. The unusual pose inspired me to pull the photo into my iPhone and jazz it up with a photo app. The apps are getting more sophisticated as time goes on, making it easy for anyone who has a smart phone to create interesting images. I am enjoying exploring these apps, but they also make me realize how important it is to know what you’re doing as a photographer. I appreciate an impeccably executed no frills photograph even more in this day and age of what I call “click and oooh”. 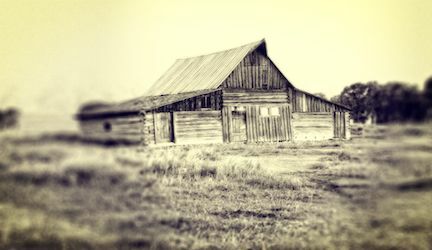 Posted in Digital Photography, Photography, Photography Equipment and tagged Canon EOS 5D Mark II, iPhone, phone photography, Photo apps, Photograph, smart phone, Smartphone. Bookmark the permalink. If you are in the market for a new photo gear bag, Think Tank, is offering some great special deals. In my opinion, they are the best gear bag company out there. Click this link for free shipping. Click this link for a rebate on the Airport 4-Sight bag. Click this link to register in the drawing for a free Think Tank product. Posted in Cameras, Contests, Photography, Photography Equipment, photography products, Sales & Deals and tagged camera storage, cameras, gear bag, photo bag sale, Promotion. Bookmark the permalink. There’s a trend forming. 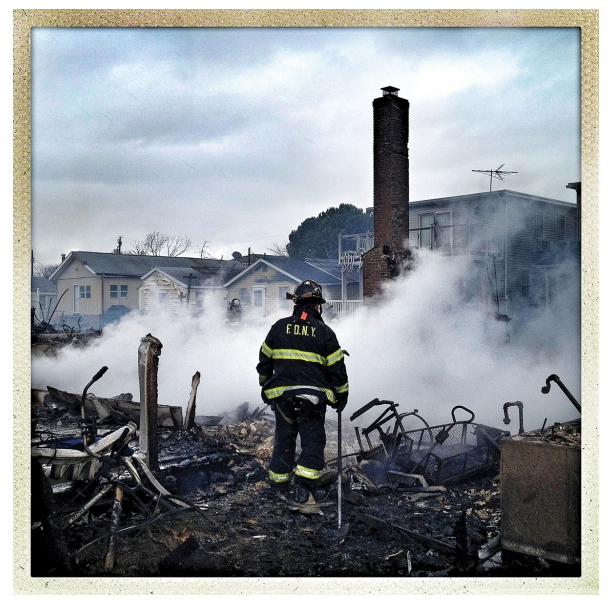 Photojournalists are now using Instagram and their smart phones to report everything from deadly storms to war to professional sports. This brings up many questions. Photojournalism has long been about integrity, honesty and clarity. Will the one-click editing filters and ability to manipulate the images make them less believable? 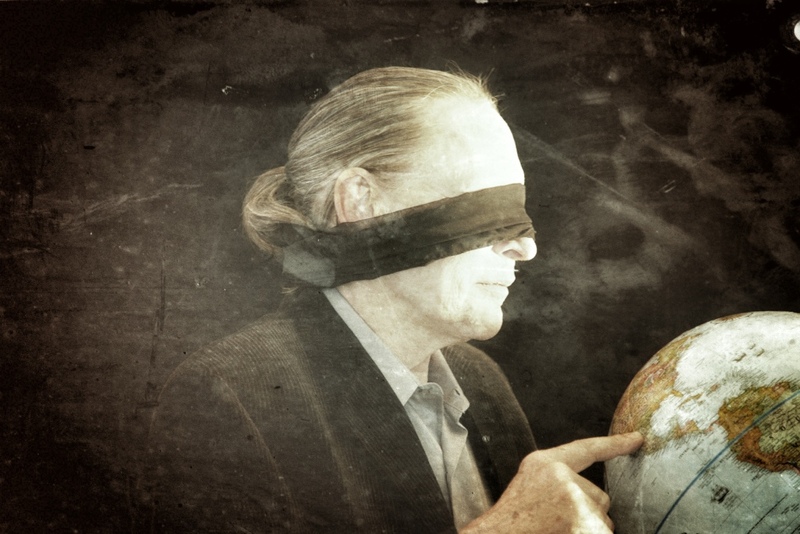 Is our world so hungry for quick information that we are willing to sacrifice quality? Is the job of a photojournalist becoming extinct? There’s an intriguing article in American Photo Magazine about this situation. It’s worth the read. Benjamin Lowy, one of the photojournalists I curated into my exhibit “Wide Angle View” at the Orange County Center for Contemporary Art in 2011, uses an iPhone. He is giving a talk at the Annenberg Space for Photography in Los Angeles on April 18, 2012. I am going and am very interested in what he has to say about the drastic changes in visual reporting. Our world is speeding faster than ever. We need to keep up, but at what cost? I’d love to hear your thoughts on this. Posted in Cameras, Digital Photography, documentary photography, Lectures, Magazines, Photography, Photography Equipment, Photojournalism, sports photography and tagged Android, benamin lowy, Instagram, iPhone, New York Times, news reporting, Photographer, Photojournalism, Smartphone. Bookmark the permalink. 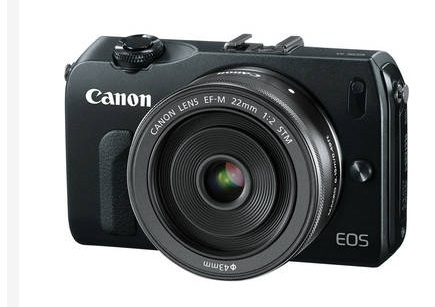 The New Canon EOS-M mirrorless camera. Big news. Canon has announced its answer to the competition from other manufacturers of mirrorless cameras. It’s called the EOS-M. It boasts 18 MP, a 22 mm f/2 STM lens, a 3″ clear view LCD screen, Canon’s DIGIC 5 Image Processor, ultra-fast focusing is delivered via the Hybrid CMOS AF system. ISO’s from 100-12800 and expands to 25600. State of the art video, and much more are packed into this interchangeable lens camera. Two M series lenses are available. The 22mm f/2 STM lens is included in this kit. The 18-55mm f/3.5-5.6 can be purchased for USD $299. The new EF-M mount on the this camera is able to use any Canon EF and EF-S lenses with the optional EF-EOS Mount Adapter. Canon has a new Speedlight flash made for the EOS-M. This compact and lightweight flash has enough coverage for use with a 24mm lens. It can act as a master for other flashes. The EOS-M is available for pre-order now. Expected deliver date is October 15, 2012, and estimated price is $799 USD. If you are looking for a compact interchangeable lens camera, Canon is your answer. Posted in Camera Lenses, Cameras, Digital Photography, Photography, Photography Equipment, photography products, Sales & Deals and tagged Autofocus, Canon, Canon EF lens mount, Canon EOS, CMOS, DIGIC, Film speed, Liquid crystal display. Bookmark the permalink. 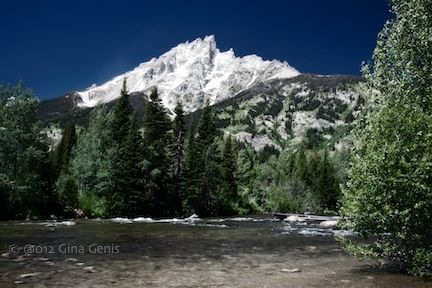 I have been quiet for a while because I am teaching an intensive landscape workshop in the Grand Tetons this week. It is exhilarating and exhausting at the same time. The students and I wake up early, sometimes by 4:15 a.m. to get to the best sunrise locations. The Tetons face east, so the best light is in the mornings. We shoot all day, taking a lunch break to eat and download images. Then we hit the road again for early evening shoots when the shadows are long and the light is clear. We are tired at the end of the day, but satisfied with our shots, so it is all worth it. A photo my student, Preston Smith, took that was terribly overexposed. I saved it with great imaging software manipulations. This year I am adding video and special effects to the workshop. We made our own pinhole cameras and the students got some unusual shots with them. 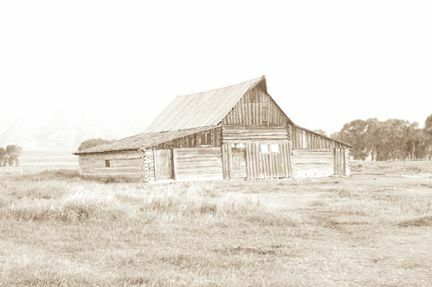 We are using specialized photo software programs to make the images really special. Tomorrow is my last day of teaching the workshop. I will be sad to leave this place that is a gift to humans and animals alike. But I will be back again next year. I hope you can join me. 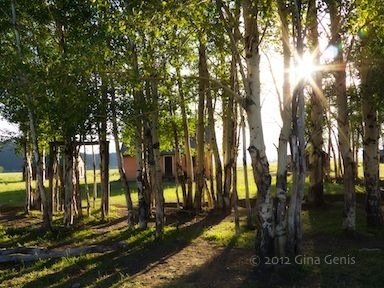 A view of one of the Mormon Barns through the aspen trees. Late afternoon, Grand Tetons, WY. 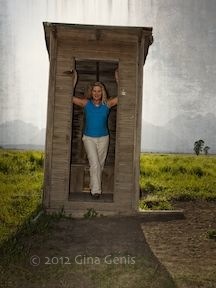 My favorite outhouse, The Grand Tetons, WY. 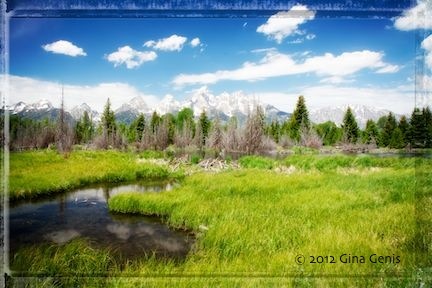 Posted in Camera Tips, Digital Photography, Fine Art, fine art photography, landscape photography, nature photography, Photography, Photography Equipment, Pinhole Photography and tagged Grand Teton, Grand Teton National Park, Jackson Hole, Jenny Lake, Schwabacher Landing, Teton Range, Tetons, Wyoming. Bookmark the permalink.